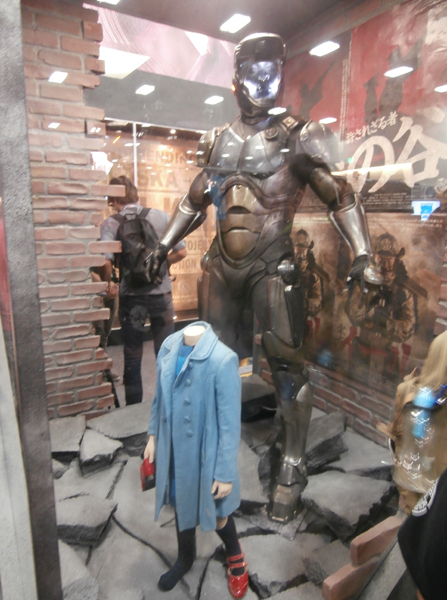 Here are some ‘Pacific Rim’ images snapped around the San Diego Comic Con 2013. Props on display from "Pacific Rim" at SDCC 2013. 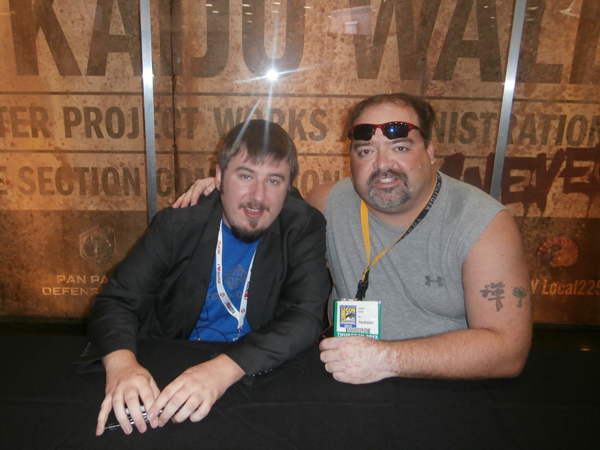 Travis Beacham (wrote story and co-wrote screenplay for "Pacific Rim") and Derek Herd at SDCC 2013. 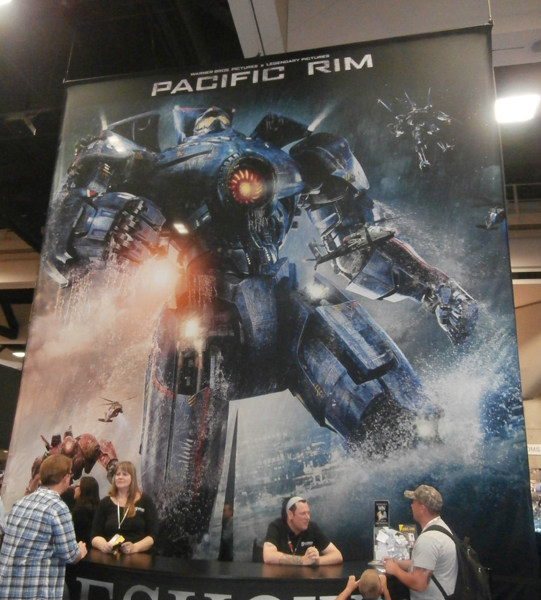 Massive wall poster for "Pacific Rim" at SDCC 2013. This entry was posted in Uncategorized and tagged Pacific Rim, SDCC, Travis Beacham. Bookmark the permalink.